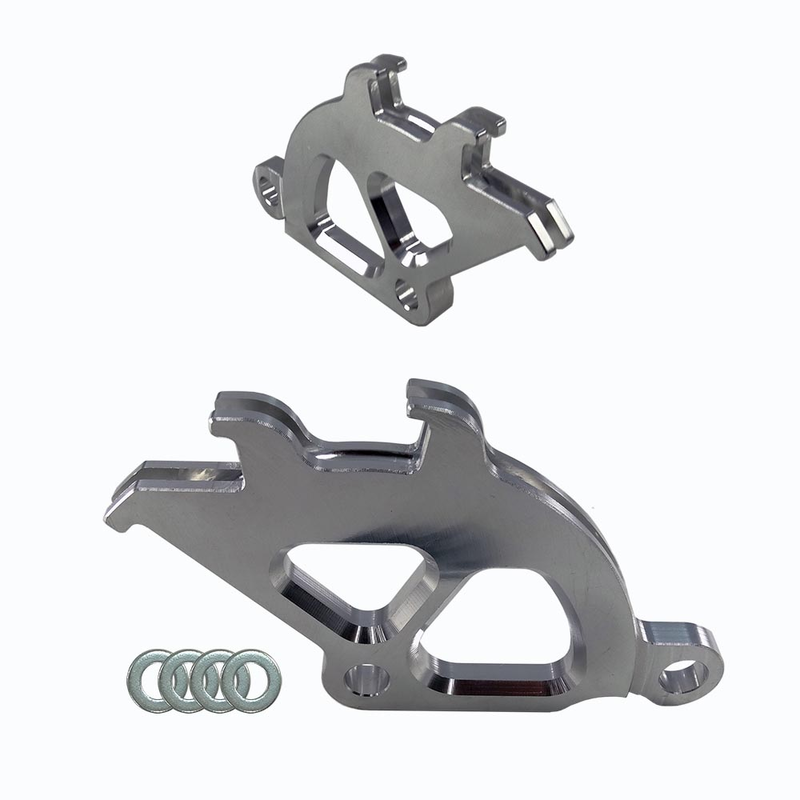 UPR's Triple Hook Quadrant is a great upgrade for any 1982-2004 Ford Mustang. The factory piece becomes brittle over time and the two piece design is known to be a weak spot in the driveline. Why wait for it to fail on you at the wrong time or buy a double hook quadrant when you can replace it with UPR's Billet Aluminum Triple Hook Quadrant and never have to worry about it again. CNC Machined from 6061 Billet Aluminum with three mounting locations for your clutch cable as well as stress free angles and a fully machined cable groove without steps to keep from chaffing the cable and breaking like our competitors quadrants do. 1982 1983 1984 1985 1986 1987 1988 1989 1990 1991 1992 1993 1994 1995 1996 1997 1998 1999 2000 2001 2002 2003 2004 V8 GT GTS Cobra Mustang Steeda Roush & Saleen Vehicles. No one else can stack up to the bold clean styling of our aftermarket Billet dress ups, Street Strip & Racing Suspension & Performance Parts for your late model American Muscle Car!